It will be difficult to match the excitement of the Los Angeles Clippers‘ 31-point comeback over the Golden State Warriors on Monday, but with three games on the schedule for Tuesday night, there will be no shortage of action. The Western Conference’s No. 2 seed also came up with a big win to even up the series, but it wasn’t quite as easy. The Denver Nuggets trailed by as many as 19 points to the San Antonio Spurs, but they used a furious run in the fourth quarter to stage a huge comeback and even the series. 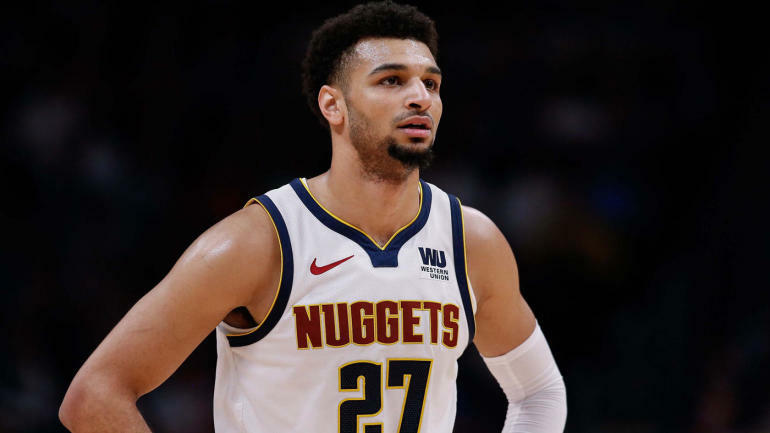 Jamal Murray led the way, scoring 21 of his 24 points in the fourth, as he finally broke out of his slump. Finally, to close the night, the Portland Trail Blazers will look to maintain homecourt advantage when they host the Oklahoma City Thunder in Game 2. The Trail Blazers got a huge effort from Enes Kanter in Game 1, while Damian Lillard hit some clutch shots down the stretch to hold off a Thunder team that never gave up. CJ McCollum showed why he’s one of the best offensive players in the league with a nasty move against the Thunder. After breaking out some slick dribbling skills, he flipped up a high-arcing floater off the glass. Derrick White threw down the early contender for dunk of the postseason in Game 1, and had more in his bag for Game 2. This slam wasn’t quite as electric, but it was still pretty nice. After losing Game 1, the Raptors couldn’t afford to drop another home game in their first round series with the Magic. And Kawhi Leonard made sure it didn’t happen. The Raptors’ star man went off on Tuesday night, dropping 37 points on 15-of-22 shooting, while also adding four rebounds and four assists. Paul George has been dealing with a shoulder problem for a few weeks now, and it was so painful that the Thunder weren’t even sure he was going to play in Game 1. He ended up suiting up, and playing a ridiculous 43 minutes, but shot just 8-of-24 from the field, including 4-of-15 from 3. He claimed after the game that his shoulder is “pain free” but that seems unlikely. Credit to George for not making excuses, but if he’s not 100 percent — which he doesn’t appear to be — it’s going to be tough for OKC in this series.